The Big Six were six leaders of the United Gold Coast Convention (UGCC), the leading political party in the British colony of the Gold Coast. They were detained by the colonial authorities in 1948 following disturbances that led to the killing of three World War II veterans. They are pictured on the front of the Ghana cedi notes. 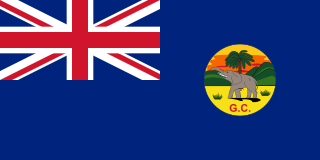 The United Gold Coast Convention (UGCC) was a political party whose aim was to bring about Ghanaian independence from their British colonial masters after the Second World War. Akufo-Addo was born on 26 June 1906 at Dodowa in the Greater Accra Region to William Martin Addo-Danquah and Theodora Amuafi. Both of his parents were from the southern Ghanaian town of Akropong. He had his basic education at Presbyterian Primary and Middle Schools at Akropong. In 1929, he entered Achimota College, where he won a scholarship to St Peter's College, Oxford, where he studied Mathematics, Politics and Philosophy. He went on to graduate with honors in philosophy and politics in 1933. Dodowa is a town located in the Greater Accra Region of Ghana, it is the district capital of Dangme West district, now Shai Osudoku District. Akropong is a town in South Ghana and is the capital of the Akuapim North District, a district in the Eastern Region of South Ghana. This town is known for producing snails and palm oil. Akropong has a 2013 settlement population of 13,785 people. Dr. Ebenezer Ako-Adjei was a nationalist politician from Ghana and one of the founding fathers of Ghana alongside J. B. Danquah, Edward Akufo-Addo and others. Ako-Adjei is considered to be one of the "Big Six", who were arguably some of the most famous people in Ghana's fight for independence from British rule. He was also a founding member of the United Gold Coast Convention, the political party that initially spearheaded the surge for independence. Emmanuel Odarkwei Obetsebi-Lamptey was a politician in the British colony of the Gold Coast. He was one of the founding fathers of Ghana and one of the founders and leaders of the United Gold Coast Convention (UGCC) known as "The Big Six". He was the father of NPP politician Jake Obetsebi-Lamptey. Tawia Adamafio was a Ghanaian minister in the Nkrumah government during the first republic of Ghana. Honorary Doctorate from the University of Oxford in 1971. The Accra Riots started on 28 February 1948 in Accra, after a protest march by unarmed ex-servicemen was broken up by police, leaving several leaders of the group dead. Among those killed was Sergeant Nii Adjetey, who has since been memorialized in Accra. 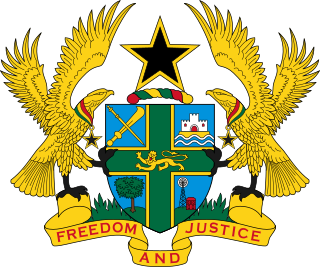 In January 1948, the Ga chief Nii Kwabena Bonne II had organized a boycott of all European imports in response to their inflated prices, and the 28 February incident is considered "the straw that broke the camel's back", marking the beginning of the process of independence for the Gold Coast as Ghana - the first African colony to achieve this. Raphael Nii Amaa Ollennu, JSC, FGA was a jurist and judge who became a Justice of the Supreme Court of Ghana, the acting President of Ghana during the Second Republic from 7 August 1970 to 31 August 1970 and the Speaker of the Parliament of Ghana from 1969 to 1972. Frederick Kwasi Apaloo was a Ghanaian barrister who served as Chief Justice of Ghana and later Kenya. Nana William Ofori Atta, popularly called "Paa Willie", was a founding member of the United Gold Coast Convention (UGCC) and one of the founding fathers of Ghana, as one of "The Big Six" detained by the British colonial government in the then Gold Coast. He later became a Minister for Foreign Affairs in Ghana's second republic between 1971 and 1972. Aaron Eugene Kofi Asante Ofori-Atta was a politician and also the fourth Speaker of the Parliament of Ghana. Ghana National College is a senior high school in Cape Coast, Ghana. It is rated as one of the country's top schools. Nicholas Yaw Boafo Adade was a former supreme court judge and Attorney General of the Republic of Ghana. He was the Attorney General of Ghana between 14 April 1969 to 1970 in the Busia government. He has also served as a former Member of Parliament for the Asante Akim North constituency in the Ashanti Region of Ghana. He died on 14 May 2013. Nana Akufo-Addo, who was then leader of the main opposition party in Ghana, paid tribute to Adade's service to Ghana. Adeline Sylvia Eugeina Ama Yeboakua Akufo-Addo, née Nana Yeboakua Ofori-Atta was a First Lady in the second republic of Ghana as the wife of Edward Akufo-Addo and mother of Ghanaian president Nana Akufo-Addo. 1 2 3 4 5 "Edward Akufo-Addo". Ghana Web. Retrieved 30 January 2014. ↑ Dictionary of African Biography. OUP USA. 2 February 2012. p. 154. ISBN 978-0-195-38207-5. 1 2 3 "Akora Justice Edward Akufo-Addo", Old Achimotan Association. ↑ "August 28, 1970: Edward Akuffo-Addo is named President of the 2nd Republic". Edward A. Ulzen Memorial Foundation. Retrieved 2019-02-08. ↑ "Edward Akufo-Addo", Ghana Nation. "Dr. Edward Akufo Addo", Ghana Nation, 15 November 2011.